Post-Graduate Medical entrance exams are a standardized and reliable mode of evaluating the lakhs of applicants who aspire to study Doctor of Medicine (MD) and a Master of Science (MS) degree, Post-graduate diploma – Diplomat of National Board (India), so take your time, prepare well and get ready. Candidates who appeared for the exam were advised to go through the NEET PG Exam Pattern. First of all, gather all the details about the syllabus officially prescribed for the examination. Make a proper time-table and prepare accordingly. Consider the good books and study materials for your preparations. Prepare short notes on the important topics and prepare them at the end of preparations. Practice previous year neet pg question papers and neet pg sample papers it will help you to understand the exam pattern. Take care of your health, do yoga and meditation it will help to concentrate on your studies. Students need to combine hard work with smart work. You can prepare according to the weightage given to each subject for the examination. Checks which subjects have maximum weightage or the maximum number of questions start preparing with these subjects first and then go down to the subjects which have the least weightage. Practice: It is said, “Practice makes you perfect”. Practice as much as you can, through books, notes or online resources. 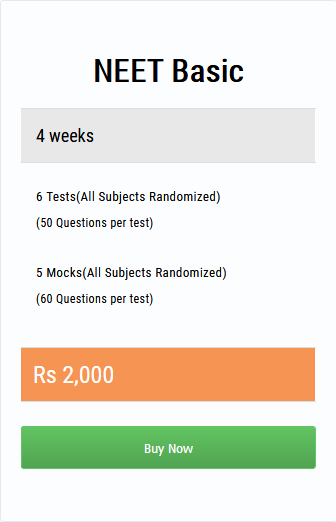 Take online tests or mock tests to check how much you remember about the subjects. Taking such test will increase your confidence and your speed too.